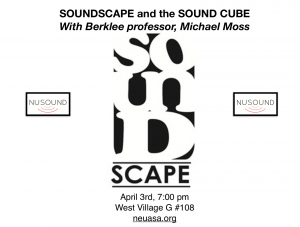 We are excited to announce our next speaker, Berklee College of Music Professor Michael Moss! He is the founder of Soundscape Productions, a sound production company who provides services for various fields and companies, such as Warner Bros and NPR. He is giving a talk about the work he’s done, as well as demonstrating 3D sound with the Morrow Sound 3D Sound Cube Speaker. Join us tomorrow to get a look into one of the more exciting acoustic fields! Soundscape Productions is an in-demand project studio in Boston that provides production and sound services for education, industry, advertising (Gillette & Coca-Cola), and audiobooks (The Polar Express). Prof. Michael Moss will be giving an overview of the company and the work they do. He is discussing music live video streaming equipment, and showing studio mixes and excerpts from TV shows. He will also demonstrate 3D sound with the Morrow Sound 3D Sound Cube Speaker array. 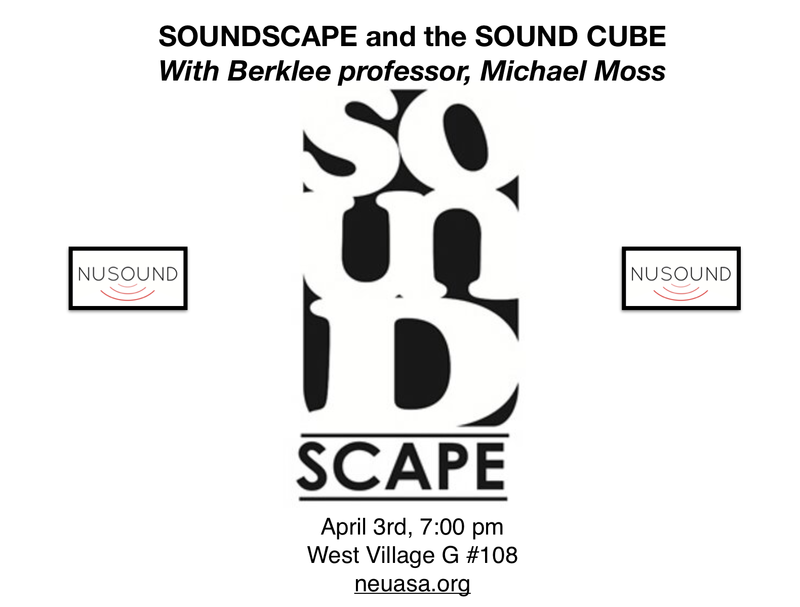 Michael Moss is an assistant professor in the Department of Music Production and Engineering at Berklee College of Music. His diverse resumé includes three Grammy Award nominations for audio books; a prestigious Audie Award from the Audio Publishers Association; a long history as a saxophonist touring with the Cab Calloway and His Orchestra; extensive performances in the studio and on stage with artists such as Aretha Franklin, Gil Evans, the Four Tops, Frankie Valli, and Bo Diddley; and a Master of Music degree from the New England Conservatory.